The first of five summer concerts this year in Italy has begun, in Asti. In these days, several journalistic articles have announced the arrival of the boys, presenting them as true stars, they had never been in concert at Asti. Let’s start with the soundcheck. And here they are, ready to start, beautiful and elegant. Thus the “Volomania” infects all the public in Piazza Cattedrale. Accompanied by the Symphonic Orchestra of Asti, the three tenors of Il Volo and their repertoire of “Magic Night: A Tribute to Three Tenors” – a tribute to Luciano Pavarotti, Placido Domingo and Josè Carreras. The program seems to repeat the program of NOTTE MAGICA of Florence. Directed by the master Marcello Rota. Some amateur videos have arrived, the first one, which is out on stage, of the boys, has no audio. The others yes, we listen to some songs. Along with L’AMORE SI MUOVE, GRANDE AMORE and VOLARE. LIBIAM NE LIETI CALICI begins and Gian looks for words on the musical score and does not find the page. Starting slightly late, he does not remember the words, then makes a sign to the guys who understand, Ignazio and Piero go on in his part and at the end Ignazio hugs him. It can happen to anyone, but this gesture by Ignazio and Piero is wonderful !! In the afternoon, the guys with Torpedine presented the book RICOMINCIO DAI TRE. I would say that the boys had an extremely long and heavy day, and there was also a little rain at the beginning of the concert. They will be tired but certainly happy for this beautiful concert. ……. and in a few days it’s up to me !! July 1, 2016 ……… I can not believe it’s already been two years since that fantastic night, where in the warm sunset of Florence, you could feel in the air the magic that these three young boys were giving, at the public present. It was wonderful and I was there. It was my second concert and I was very excited, it was also the first time I used my daughter’s camera, I made videos that re-post to you, sorry for the various tremors and my voice in the background. The magic was, that no one knew what to expect, we all know that the boys have incredible voices, but when they started with the Nessun Dorma, I think all those present held their breath to the end. “O my God, it’s very difficult”, I thought, and even the boys were very emotional. There was a palpable tension in the air. At the final note, we could not believe our ears, we all got up in a very long applause and a few teardrops wet our eyes. They were very good, we were all very proud of them, and they were tighten their hands, hugging each other, moved to be successful. The various songs went by fast and the evening was beautiful. The muggy heat of the afternoon had given way to a nice evening temperature and Piazza Santa Croce was truly magnificent and the public really very much involved. There were also strange moments, because it was full summer and it was hot and yet, because the CD would come out at Christmas, they also sang a Christmas song, which was not added on the CD. The boys were really elegant, and the stage was huge, with a large chandelier that came down from the roof and emanated lights of many colors. People reacted with enthusiastic applauses for their great affection, but also because they recognized the skill of the boys of IL VOLO. But why in the title of today I wrote “Everything happened for a truly magical night”? Because of the videos I had taken that night…. once I returned home, I wanted to share them with someone. It was about a year that I was following the IL VOLO FLIGHT CREW website, but I had NEVER commented, I read the various comments that I liked so much. In fact, at that moment, I took courage and made a comment, attaching one of the videos. Immediately Marie contacted me and told me to write my impressions on the concert and to attach all my videos that today, I’m re-posting. I received so many very beautiful and enthusiastic comments of the videos, even if they were shaky and with background voices. I immediately felt accepted by the group, indeed part of the group. After three months I was able to meet Marie and Jane personally, what a wonderful meeting. A few days before going to Florence I read that even Jana would be there to see NOTTE MAGICA, but I still did not make direct contact with Jana so we could meet and get to know each other personally. There will certainly be a next time. Since then, every day I check the page of our beautiful website several times, and I always feel very close to all of you, even if you are on the other side of the world. By now I have learned to know most of you. I have so many fond friends, I’m lucky. The architects of all this are three boys of gold, our dear Piero, Gianluca and Ignazio. Their wonderful voices console us and their family affairs, into which to our great joy, they allow us to peek, make us proud and also very united, as if we were all part of a large family. This beautiful magic was also repeated in Verona, where I got to know other members of our crew, such as Mary and Mark Minton, Sue and Graham Hemshall, Jeannette Giglio, Susan Tafanelli, to whom I send a big hug. Within a few days I will go to the concert of Marostica, and I am sure, it will be a beautiful concert. I will try to get as close as possible to our boys, to whom I will certainly bring the affection of the whole crew. I hope to be able to make good videos that I will certainly send you with a detail of the whole concert. This is the whole story, for now, of how I started writing for Flight Crew, all because of a Magic Night. Here is the photo of our arrival in the beautiful Florence to attend the concert, my husband and I. Did you see that beautiful shirt I was wearing ??? I took the first shirt on the fly !! I send a hug to the whole crew, and I hope I have not bored you too much. All videos and photo credited to Daniela! Every day, there is a special announcement that makes us happy. The trio, IL VOLO arrives at the Marostica Summer Festival. Marostica – The billboard of the fourth edition of Marostica Summer Festival is still enriched. After the announcement of the presence of Alvaro Soler, on the stage on 18 July, the next day, Thursday 19, in the chess square, IL VOLO will return. Ignazio Boschetto, Piero Barone and Gianluca Ginoble, will in fact present their project, on tour since 2016, which is titled “NOTTE MAGICA – A Tribute to the Three Tenors”. After the two lucky events of 2014 and 2015, sold out in every place order, the three tenors, who in these years have won successes in all corners of the world, with their typically Italian voices and a repertoire ranging from Opera to pop music, thanks to Due Punti Eventi they announce a new concert, in the Scaliger town, which has always responded with generosity and affection. The beautiful Piazza degli Scacchi, where the concert will be held. The one scheduled for July 19th, beginning at 9:30 pm, will be a show in which the successful melodies of the Neapolitan, Italian and international repertoire will alternate with pieces taken from great musicals and with the most famous opera arias. On the stage with the orchestra, the trio will also present some pop-inspired pieces and other surprises. Pre-sales of the “IL VOLO” concert will be available shortly online and in the Ticketone and Vivaticket circuits. 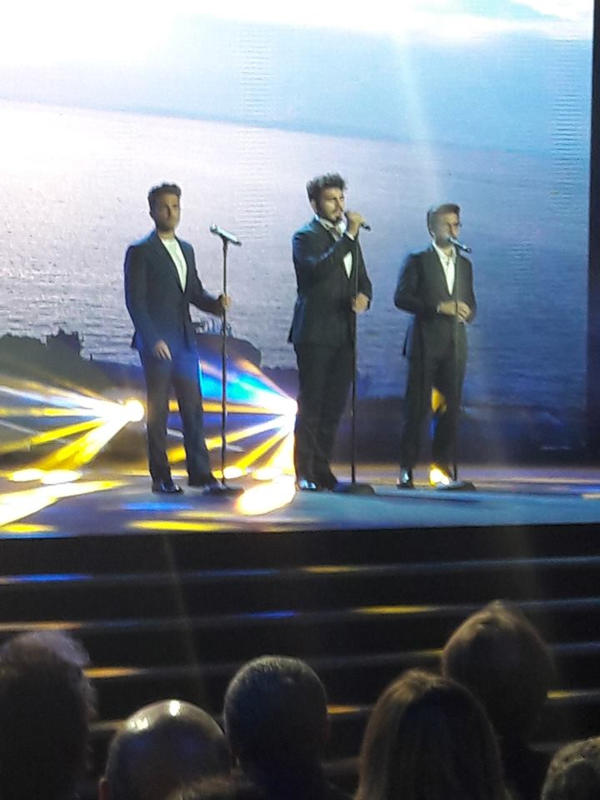 On 1 July 2016 in Piazza Santa Croce in Florence Il Volo brought on stage for the first time “NOTTE MAGICA – A Tribute to the Three Tenors”, broadcast in prime time on Canale 5; the show has seen the participation of Placido Domingo and marked the beginning of a world tour that debuted on March 4 at the Radio City Music Hall in New York, registering sold out. After 15 stages in the United States, the tour arrived first in Europe (29 dates) and then in Latin America and, finally, in Japan. Marostica Summer Festival is organized by Due Punti Eventi, with the artistic direction of Valerio Simonato, in collaboration with the Municipality of Marostica and with the patronage of the Veneto Region and the Province of Vicenza. The event supports Woman For Freedom, donating a number of tickets to the shows to support the association’s activities. Ok, I think it’s great news, a whole concert, I think I’ll do everything to go there. There will be Magic Night songs, but also pop songs and some surprises (maybe the new single), moreover, from Roncadelle where I live in Marostica, it’s only 100 miles, and then I’ve never seen Marostica and the famous Piazza where every year plays the Chess Game with real people. No, I can not miss, Marostica, wait for me! How many of you would like to be here, at that time ?? Meanwhile, as we wait on 19 July, we enjoy this piece of concert taken at Marostica in 2014, beautiful CARUSO. Ferrero Rocher – Golden Symphony Dec 13, 2017 Mexico City! This year, Il Volo participated in the Ferrero Rocher Golden Symphony in Mexico City, Mexico, on December 13, 2017. Here is the video from you tube – thank you to owner!! Hope you enjoy watching it – both times!! If you can find it. Can you believe it? Less than 5 days til Christmas!! Let’s everyone stay safe whether at home or travelling, and stay well, too! No fun being sick during the holidays! The only new theme of the album Notte Magica – Tribute to the three tenors is Ave Maria, Mater Misericordiae, composed by Giorgio F. Pintus and Romano Musumarra. 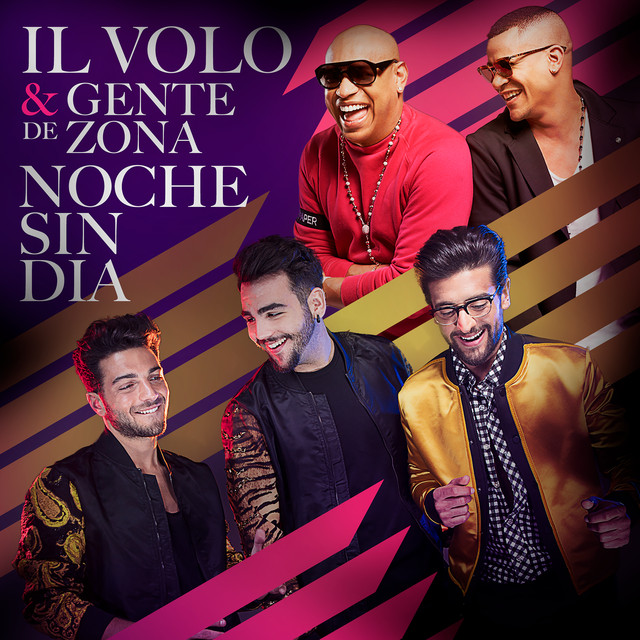 This song, although it was included in the album, was not interpreted by Il Volo in the concert held on July 1, 2016 in the Piazza Santa Croce in Florence, during which the Notte Magica album was recorded live, because it had to be performed during the World Youth Day, in front of Pope Francis. Unfortunately, Il Volo could not keep up with the Krakow appointment due to technical problems, and the live performance of the song had to be postponed until March 2017. Il Volo sang live for the first time Ave Maria Mater Misericordiae, on March 2, 2017 in Easton (USA), although its official presentation was at the concert of Radio City Music Hall, in New York, on March 4, 2017. Since the first performance, the song has become a favorite of the Magic Night tour viewers. It is a small jewel, in the purest style of Il Volo, which perfectly adapts to the vocal characteristics of the group. The song, dedicated to the Virgin Mary, begins softly in a low tone with the voice of Gianluca Ginoble, followed by Ignazio Boschetto and increases in intensity in the refrain by Piero Barone. But the climax comes at the end of the song, when Ignazio Boschetto attacks the highest notes and the three voices finally come together in a great harmony. The text is a perfect combination of tradition and modernity and manages to be poetic without being antiquated. Below is a video of the execution of the Ave Maria, Mater Misericordiae on the day of its presentation in New York on March 4, 2017. Published by Carmen Garcia on blog Il Volo en clase. translated from Spanish into Italian by Valeria Bosh and from Italian to English by Daniela. Credit to owners of video and photos. Il Volo – Groundhog’s Day?? Hello folks, i just thought I’d share my evening with you tonight…. Chris and I dutifully volunteered tonight for Il Volo night at PBS. Nine-thirty came and we anxiously awaited the start of our guys. I was finishing up a pledge, so did not realize the Nessun Dorma they were playing was at the END of the concert, until the credits started to roll! What was happening?? We did not have a clue! So, they tried to fix it, but it was like on continuous repeat of the last few songs. I clapped briefly to libiamo and enjoyed it again, and again, and again… I think like 6 times, at least? We eventually went just totally live, and they were just talking. They must have been doing something right, people were still calling and ordering our guys! It was also freezing cold in here tonight! Anyhow, an interesting night it is. Writing to you, LIVE, from Wixom, Michigan, Detroit PBS! The last concert of the Magic Night tour has ended. Melina summarizes all the emotions that have accompanied us in this beautiful year. The Kawasaki concert was the last of this endless world tour of “Magic Night”. We’ll miss them!! We will remember the applause, standing ovations, overwhelming euphoria, and the love of the public. We will remember the involvement of all the senses. We will remember the smiles and the happiness of our boys, their still wonder of the success. We will remember their jokes and the laughter that they have snatched from viewers. We will remember the emotion and the enchantment they have aroused in people… their beautiful voices and the passion of their performances. There will be other tours and everything will start again, and there will still be shows in every corner of the world, but this closes a chapter that made us thrill, rejoice, become proud. This Tour was more of a challenge than others, because it was a difficult and not very commercial genre to which not everyone was accustomed. A challenge won in all respects and on all fronts, which gave irrepressible triumphs, demonstrating, if still we needed it, that “the trio of wonders” are capable of performing and captivating whatever they sing. It is right that after so much effort there is for the boys a little rest and time to reflect and prepare new projects, which will certainly surprise and give great sensations. We will keep these memories in the heart, and we will wait anxiously and with trepidation for the next artistic achievements that will make us, as always, jump with enthusiasm. Credit to owners of photos.